"We're gonna need a bigger boat! 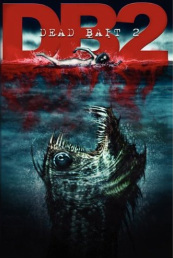 Following on from the abomination that was Dead Bait, Severed Press bring you more horror tales of the deep including a haunted Ice fishing trip, vicious Mer-monkeys, sickening shark attacks, deranged walruses and many more terrors from beneath the surface." The anthology also features authors Steve Alten, Ramsey Campbell, and my childhood hero Guy N. Smith. By the way, the Mer-monkey story's mine! Human essence trapped withing dead flesh. These are the things that rest within our tombs, that have waited for the day to come when they could finally rise from the depths of the underworld. These are the creatures that man always intended to rise. Their time has come! Featuring 29 terrifying tales of the undead, The Scroll of Anubis takes you to places you could never imagine. From the depths of Egypt to the streets of the suburbs, enter a world where the dead have risen, where terror walks the Earth." My story in this volume, set in the Valley of the Kings and Cairo Museum, is The Desecrators. What lies in wait amongst the gleaming stars? 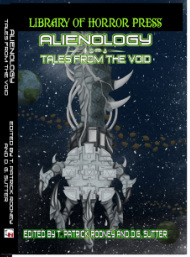 In Alienology you'll explore the corners of an endless universe through twenty-eight tales of alien horror, written by new and established authors from around the globe. You'll come face to face with creatures from beyond, battle to protect Earth against beings bent on destroying humanity, learn too late of the plot to control the collective human psyche, and salvage alien crafts in a distant galaxy. Remember...we are not alone. My own story, The Conservators, is about a race of aliens who go about the universe conserving endangered species or reconstituting them from their stored DNA. The question is, however, how will mankind interact with these kindly beings? I'm sure we can all guess the answer to that one - it's not going to be plain sailing! 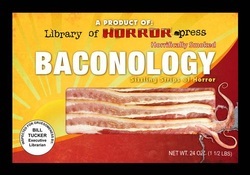 Baconology is an anthology of horror stories involving bacon - yes, really! When the idea of the anthology was mooted, it was hard to resist, just like bacon itself. My own story in the anthology, The Smell of Bacon, revolves around a traditional Nigerian method of weight loss - swallowing a tapeworm segment. This 'old wives' tale' also holds that to remove the tapeworm all one has to do is hold a piece of freshly cooked bacon in front of one's mouth and the tapeworm will emerge through that orifice.